Today I have Emily from Love, Pasta & a Tool Belt here to share some custom artwork she created! 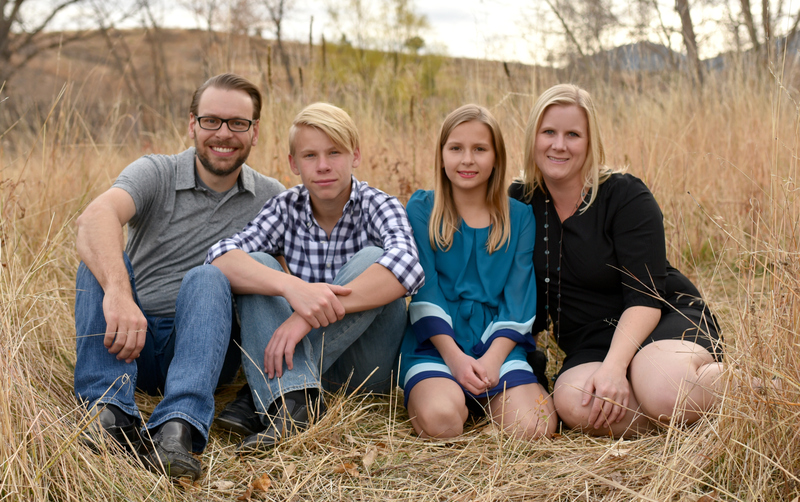 My name is Emily and I am so excited to be guest posting here today. I blog over at Love, Pasta and a Tool Belt. I write about DIY crafts, recipes, home decor and improvement projects. A couple of my favorite posts have been my Honey Garlic Pork Chops (yum! ), my Master Bedroom Makeover, and my favorite of many wreaths, my DIY Burlap Wreath. My husband and I have been married for a year and are right now embarking on a new adventure moving from Virginia to Tennessee. We are excited to get back to the south and closer to family and have a whole new house to decorate. Now on to my post. This is one of my favorite crafts I have created so far and I am excited to get to share it first with all of you. I had seen a few posts on Pinterest for initial art on canvases but I wanted to do something to make mine unique. 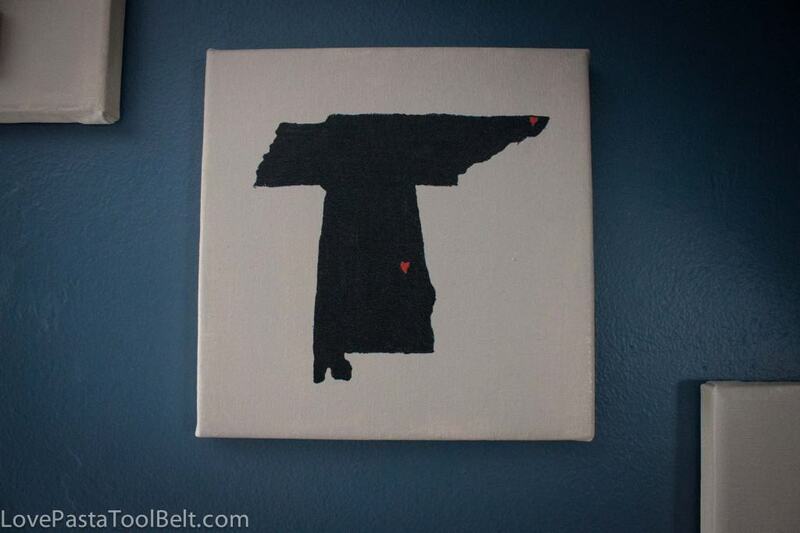 Well I have a pretty creative husband who came up with the idea to have the middle canvas represent us and the two states we come from, myself from Alabama and him from Tennessee. We have a big football rivalry being from those two states, lucky for me my team does most of the winning as of late. I started out by purchasing three canvases. I went with the square ones because they were the only sizes in stock that worked. I chose a larger canvas for the middle and two smaller ones for the sides. 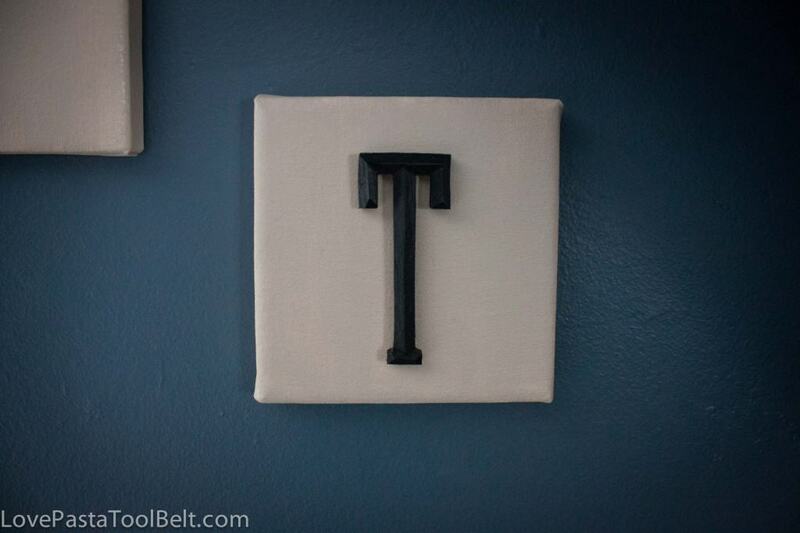 I got two wooden letters, a T for Tyler and an E for Emily. 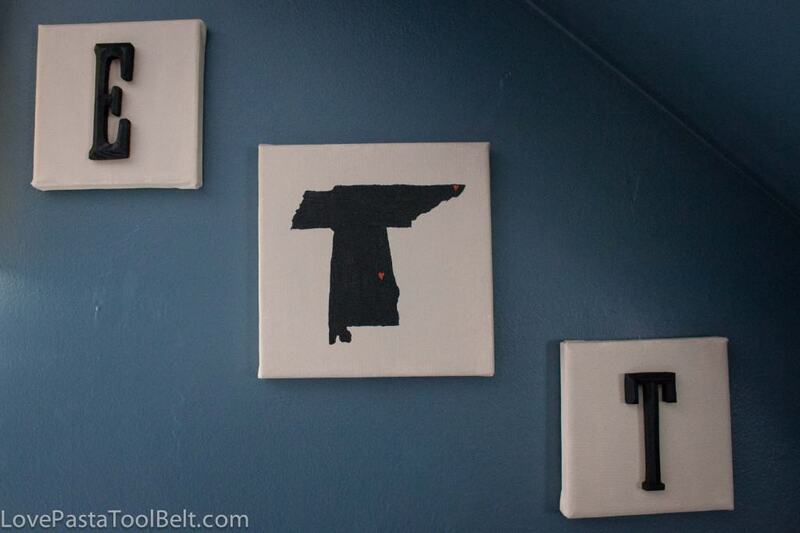 I chose paint colors to match my room, a beige for the canvases and black for the letter and stenciling. I got some tracing paper to trace for the middle canvas. I began by painting the canvases the beige color and the wooden letters black. Tyler helped me out with this project. He took the tracing paper and traced the outlines of the states of Alabama and Tennessee onto the canvas and filled the states in with black paint. He took a red pen and drew little hearts where we both grew up. 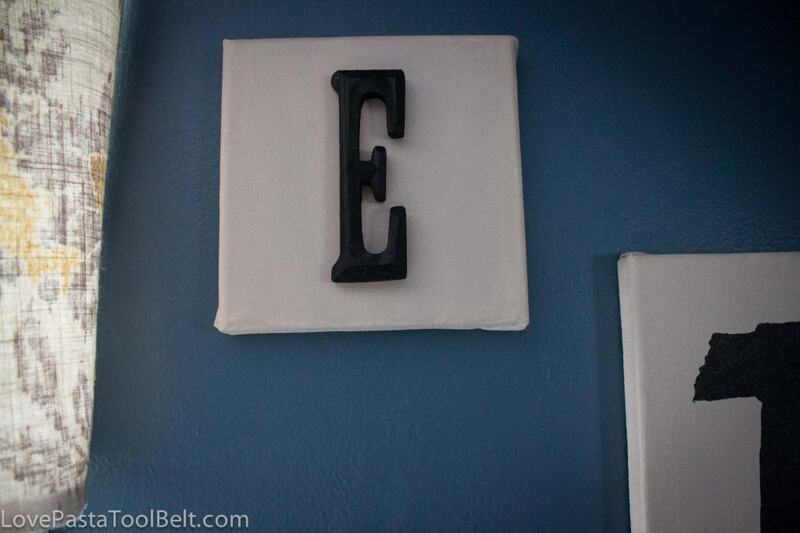 I then hot glued the wooden letters to the two smaller canvases. Let everything dry and hung them up on my bedroom wall. They look so pretty and I just love them. Sadly right now they are packed away waiting to be hung up in our next house. But they will have a prominent place there. Thank you to Allison for letting me guest post on the Gazebo and outdoorsy blog yesterday. I hope you all enjoyed this post and that you will check out my other posts over at Love, Pasta and a Tool Belt. Leave a comment and let me know you stopped by! So clever to combine both of the states like that! Very cute. I also left a comment on your blog. ROLL TIDE!